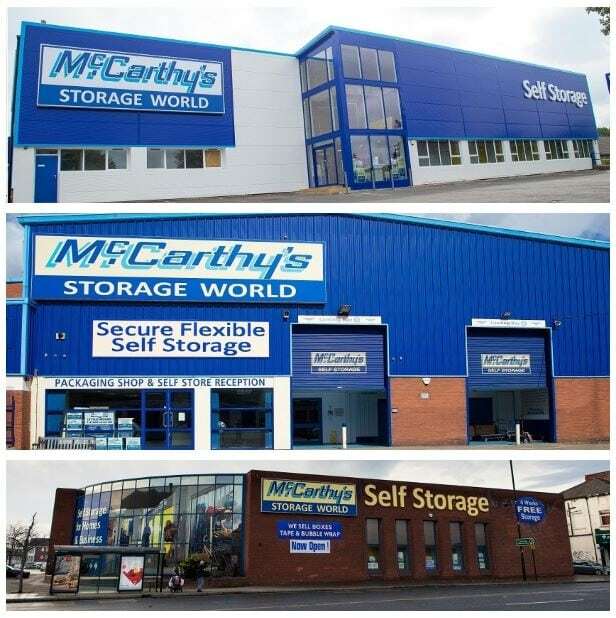 Having successfully established a Storage Centre at our headquarters in Leeds and then expanded further by opening new Storage Centres in Harrogate and Wakefield, McCarthy’s Storage World are on the look out for more sites. Our search for new sites that are full of potential and build the McCarthy’s Storage World brand is constantly ongoing. Any enquiry would be seriously considered and replied to promptly as we look to expand our Storage World portfolio. If your site fits the following criteria then feel free to get in touch providing a brief description of of your site. Where: North of England / The Midlands. New Build Sites: Between 0.66 and 1.5 acres on a freehold basis. Existing Premises: Buildings between 15,000 and 30,000 sq ft. High bay at 8m+ ideal on a freehold basis. Prominent Location that has highly visible roadside frontage and close to a minimum local population of 40,000 with a high density of homes and/or businesses nearby. For examples please see our current locations in Leeds, Harrogate & Wakefield.